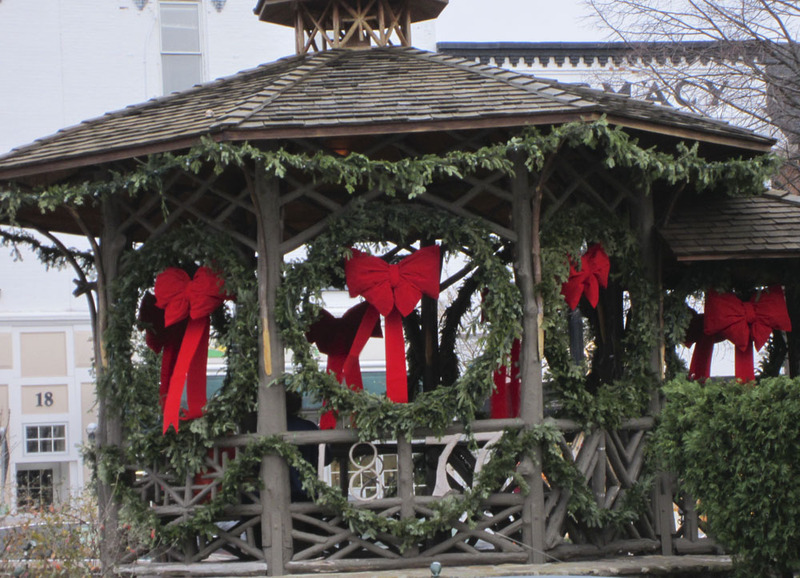 It's nice to see small towns dressed for the holiday season. 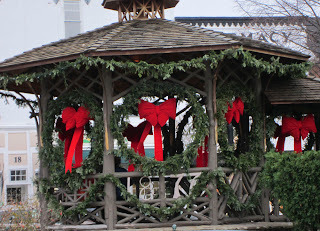 This particular gazebo is in Chagrin Falls, OH, a quaint little town near Cleveland. We had a chance to visit this town last month, remembering when we had been there years ago to shop. My husband and father-in-law dropped us ladies off at a parking lot in town and then they went to a Cleveland Indians game. They drove back to pick us up after the game. All of this done without cell phones! Imagine! Hope your town is decked out this year. A nice change from the dreary skies we have been experiencing.